The continuous improvement and expanding accessibility of handheld technology like our smartphones have paved the way for convenient rideshare services to take over the taxi industry. Today, the services companies like Uber and Lyft provide are the go-to transportation option because of how easy it is to hail a ride from the palm of one’s hand. These wildly popular services are still relatively new, meaning that the government has yet to fine-tune many legal issues. 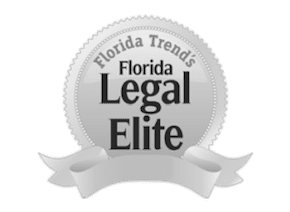 If you have been hurt in an Uber or Lyft accident in Orlando, you will likely experience more difficulty pursuing a claim on your own than if you had sustained an injury in a collision between two private vehicles. One of the main reasons for this is the complex nature of insurance. Uber and Lyft offer generous policies to their drivers, but only some components apply in specific situations. As a passenger, pedestrian, or driver, the protection you may be entitled to under these policies varies on many details of the accident. At The Umansky Law Firm, our Uber and Lyft accident lawyers are ready to learn the nature of your case so we can begin the claims process. As a pedestrian or passenger in an Uber or Lyft, you may be fond of relying upon these services to get around, but you may not understand how they function. The rideshare economy is nothing like the taxi industry; the standards for drivers are not as strict, and there is no limit on how many Uber or Lyft drivers can work in any given city because they are considered independent contractors. Uber and Lyft drivers provide services in their personal vehicles. Typically, Uber and Lyft drivers have their own auto insurance policies in addition to plans offered by the rideshare company. Drivers’ status as contractors affects their pay, benefits, and insurance coverage requirements. The driver’s status in the app at the time you were injured makes an impact on what kind of coverage you may receive through Uber or Lyft’s insurance policy, if any. If you own a car in Florida or live with a relative who does, you can file a PIP claim under that auto insurance policy if you are hurt in an Uber accident. The coverage might not be enough to make up for all your damages. PIP claims for Uber and Lyft drivers are more likely to be denied by their private insurance policies. An attorney could help you get what you need from Uber or Lyft if you got hurt while driving for either company. There are few minimum requirements to become an Uber or Lyft driver. There are also few minimum safety requirements for vehicles used in Uber and Lyft rides. Lower standards for rideshare drivers may lead to a higher rate of accidents involving an Uber or Lyft vehicle. There are many ways an Uber or Lyft accident can occur, considering drivers navigating for them are glued to the GPS on their smartphones. Because of a lack of regulations, drivers may also be inexperienced or reckless. Uber drivers in a rush to pick up a passenger might be prone to reckless driving. Additionally, they might prompt accidents by stopping to pick up or drop off passengers where it is illegal to do so. At The Umansky Law Firm, our team of car accident lawyers represent all plaintiffs in Uber and Lyft accident cases and provide the counsel and support needed to hold the at-fault parties accountable for their actions. Whether you are a pedestrian, passenger, or driver in such an accident, we will fight to get you the compensation you deserve. Frequent Uber riders might already know about Uber’s one million dollar insurance policy, but might not be sure when it extends to them. Here’s what you need to know. When the driver is off the app, he is using his car for personal use, meaning that Uber’s policy does not apply to him or anyone else who might be involved in an accident. The driver should have his own insurance policy to protect him and others when he is not driving for Uber. Uber’s policy covers a driver who is on the app but hasn’t accepted a ride for any injury or damage he caused to someone or something else. In this situation, Uber covers at least $50,000 in injury liability per person, with a maximum total liability of $100,000 per accident. The policy also covers $25,000 in property damage per accident. Uber’s $1 million policy extends to passengers who get hurt in an Uber car while the driver is fulfilling a ride request. This policy includes one million dollars of coverage for uninsured or underinsured drivers as well as one million dollars in liability coverage. Talk to the Orlando rideshare accident lawyers at The Umansky Law Firm to gain a better understanding of Uber and Lyft insurance policies and how they may benefit you after an accident. Remember that these Uber policies can be subject to change and do not rely just on what you read online to determine coverage. We’re available at all times to discuss your case. Call (407) 228-3838 for a free consultation or contact us online.